George Bonfiglio, whose 27th Lancers first met in his Revere, Massachusetts home in 1967, was DCI's first board of directors chairman. Bonfiglio's independent streak helped form DCI. 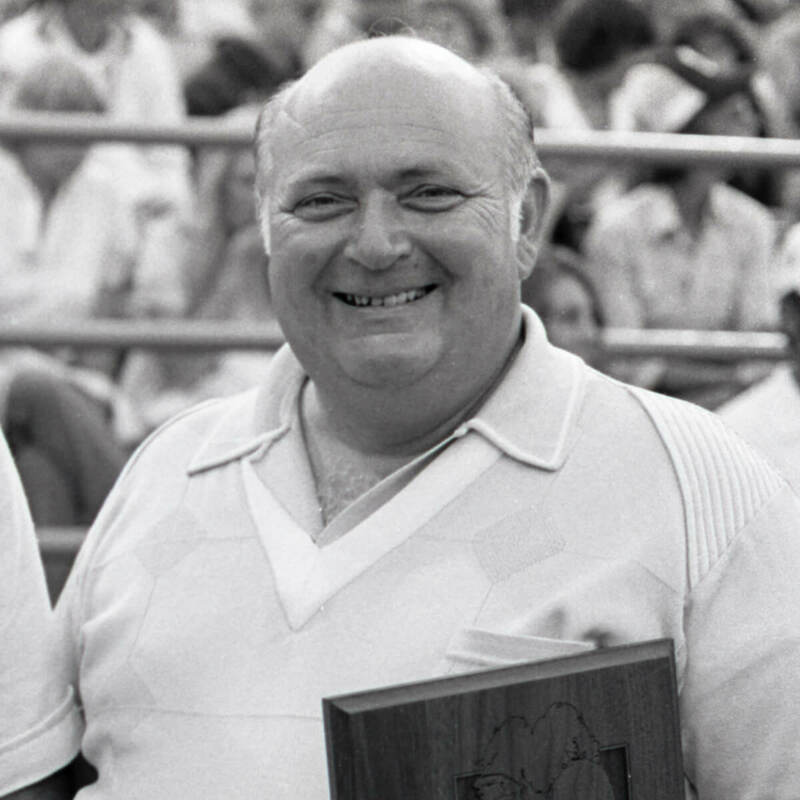 DCI Hall of Famer James Wedge said, "He was very instrumental in pulling away from the veteran's organizations and circuits (which constantly had him in trouble with the CYO, the local circuit formed by the many Catholic churches), and forming DCI." Fellow DCI Hall of Famer Dr. David Kampschroer, who was also a founding member of the DCI board of directors, explained why Bonfiglio was chosen to hold the role of chairman of the board. "After we put the East and Midwest/West together (the initial divisions that combined to form DCI), it was decided to select George B. as our first chairman of the board. This was due to his ability to be a calming effect on some of the other doubting Eastern corps. It worked!" Kampschroer said. Bonfiglio's resolve was legendary, according to Wedge. "I think when you talk about George's contributions to the activity, the thing that jumps out at me is his ability to keep the corps, the Reveries and the 27th Lancers, alive for so many years, under some very adverse conditions, both with personnel and finances, when others may very well have thrown in the towel," Wedge said. "No matter how bad things got, George would keep prodding along and finding some way of making the corps successful." Bonfiglio's influence can be felt today. The 27th Lancers performed at the 1980 Lake Placid Winter Olympics, including a routine on ice at the closing ceremonies. "George was always looking "forward" in terms of building DCI into a nationally known organization," Wedge said. "In 1975 he worked out an agreement with the Boston PBS station to produce an hour special that ran nationally on the PBS stations. He got the corps an appearance on the Mike Douglass show, a nationally run talk show out of Philadelphia. The guest star on the show, and guest drum major of the 27th Lancers, was none other than Victor Borge. George also got the corps a segment on the local "Evening Magazine" show." George passed away in 2010.